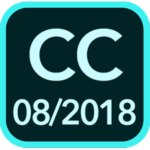 What's New in this Lightroom Release > Lightroom CC iOS/Android Updates > What’s New in Lightroom CC August 2018 release? The Lightroom CC ecosystem has been updated today, with updates for Windows & Mac (1.5). The iOS (3.4) and Android (3.6) updates will ship within a few weeks. (Lightroom Classic CC has also been updated.) 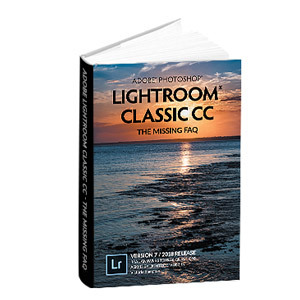 And there’s some even bigger news… my Lightroom CC book is finally finished! 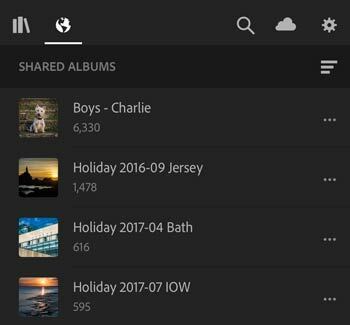 If you know you’re going to be offline, you can now right-click on an album and choose to store that album’s originals locally, just as you can on the mobile apps. 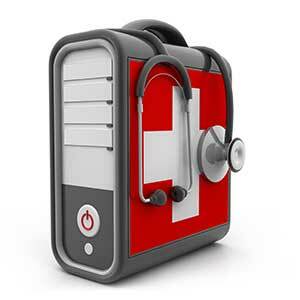 Unchecking it reverts to automatic cache management. At the bottom of the Info panel, you can now see which albums include the selected photo, and if you click on one of the tokens, Lightroom opens the selected album. 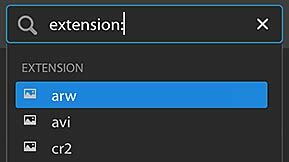 On Windows/Mac, there’s additional search functionality for the text search field, so you can narrow down your search by the type of metadata, such as extension:cr2. There’s a full list of search tokens in my new book. 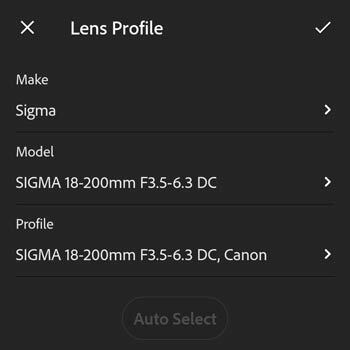 On iOS, the Filter menu is being updated to include the Camera, Location, Keywords and Edit Status filters that are already available on the desktop. The iOS Organize view is having a bit of facelift. It’s being split into two tabs – My Photos and Shared Albums – just like the web interface. This gives you easy access to the albums you’ve shared with others, as well as your full album hierarchy. 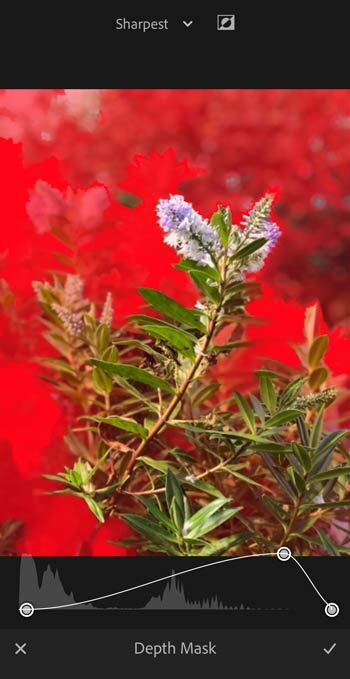 There are also new LR Camera Photos and Recently Added smart albums, as these photos can quickly get lost in All Photos. 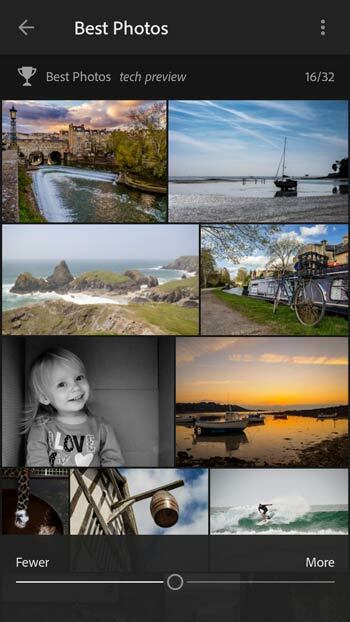 In the Grid view on iOS, the multi-select mode is changing to match the Android behavior, so you long-press on a photo to enter selection mode and then choose to copy/move/remove/delete/share photos, rather than selecting the action and then the photos. It makes sense when you try it! On iOS, you’ll soon be able to export more than 15 photos at a time, which is a much-requested feature. On iOS, HDR/Long Exposure files will be up to 2/3rds smaller without visual quality loss, thanks to some clever compression. 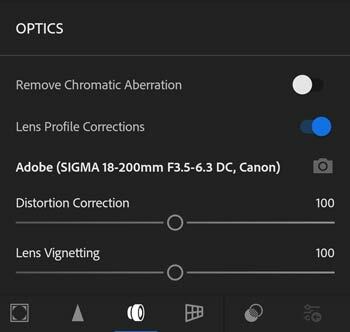 The Remove Chromatic Aberrations checkbox and lens profile pop-ups are now available in the Optics panel on the Android apps (but are not yet available on iOS). Coming soon to iOS, there’s a new Depth Map Support tech preview. To create the depth mask, use the Portrait mode in the iOS camera or the new Depth Capture mode in Lightroom’s camera (HEIC format only). When you go to Selective Editing mode, you can select the existing depth mask, adjust the range and then further edit the mask using the brush and sliders. This allows you to create fake depth of field, darken backgrounds, and more. 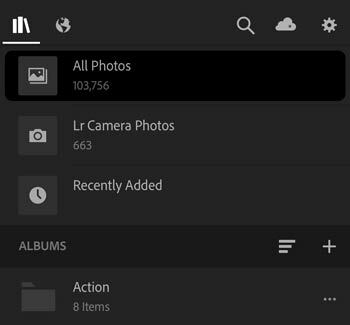 Already available on Lightroom Web as a tech preview, and coming soon to the Android app is the Best Photos feature. It uses Adobe Sensei artificial intelligence as well as edits that you’ve made to your photos to automatically select the photos it thinks have the highest potential, quickly and easily. These are both disabled by default, but can be enabled in Settings > Technology Previews. In the last release, Adobe added support on macOS 10.13 and iOS11+, but those files are now also supported on Windows, and will shortly be supported on Android too. HEVC videos are not currently supported. 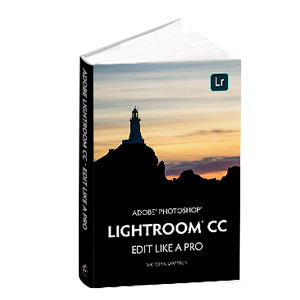 Lightroom CC book now available! Most Lightroom CC books are out of date before they even ship, but I’m including a year’s eBook updates with your purchase, and you can extend your access at a low cost, so you always have the latest information. The book already includes today’s new desktop features, and there will be an update for the new mobile features when they ship in a few weeks. The paperback versions are expected to ship early in September, complete with those new mobile features. The free Lightroom CC Quick Start eBook has also been updated today, and updated download links are being emailed out to everyone who previously requested that eBook. Thanks as ever for the updates, Victoria, and congratulations on the new book! I’ve already taken advantage of your very generous introductory discount – the book looks excellent. Thank you Christopher, I’d love to hear what you think when you’ve had chance to read it, as it’s a completely new style for me. Wow, gorgeous graphics! I just reviewed the Lightroom Family Workflow page, and it’s so simple to understand. 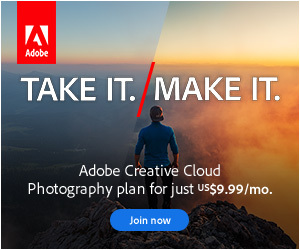 I have had LR for years, and now LR CC, and I see in one page that I am NOT making use of it to solve photo problems I have! I am a great reader, but to read the “long version” of things now feels slow. I just learned what is possible, thank you. I bought one of your books many years ago. I’m in again. Thanks Jen, I had fun hunting down all of those little 3d men. Have a lovely time reading, and I’d love to get your feedback when you’ve had chance to read it through. FYI. I’m running iOS 11 on iPhone and MacOS Sierra (not High Sierra). The 1.5 LR CC update now doesn’t support the new Apple HEIF in this combo. LR CC requests the you upgrade to High Sierra to display iPhone images. 1.4 did work with HEIF in this combo. Debating upgrading the OS or downgrading LR CC. Follow a number of LR and photo blogs and no one detailed this. Guess because your all running the latest OS on all devices. Interesting, 1.4 wasn’t supposed to support HEIF on Sierra either. Were they definitely still HEIF files, and not getting converted to JPEG by the iOS app? Thanks for the info. Personally I’d upgrade to High Sierra. It’s pretty stable at this point, and Mojave will be out soon, so late in the cycle is the best time to upgrade IMHO. Have been eagerly awaiting the August 2018 Lightroom Updates, hoping Adobe would stick with their consistent launch update schedule though didn’t know if they would delay and wait for the Mojave release next month incase anything breaks before the final release. Bit surprised by the very limited number of Mac/Window CC updates. Being able store Albums is nice though one could have already choose which images to save locally. Album membership is also a plus but something along the lines of things I imagined we’d see added after all the deal breaker missing features were first added. The lack of all the advanced search filters in CC vs Classic is certainly one of those major missing features, so I’m excited to see that and if it were full/near search filter feature parity that along would make it a significant update. 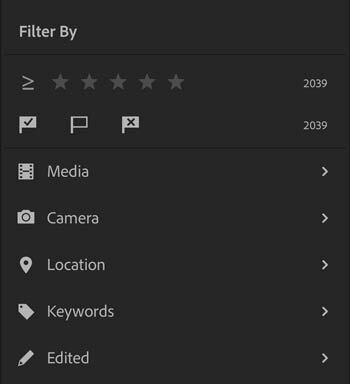 However, just updated and looking at the search filter options and not seeing anything new other than maybe an icon for video/filter. Perhaps they are all there now but hidden via search terms rather than exposing them via search bar, so will have to investigate more. Otherwise perhaps we will see another update when Mojave is released with more significant tent pole updates such as ability to rename files and apply presets on import, full meta support, full export support, face tagging, ability to compare images, Mac Portrait Mode and Mac Live Photos full support, and such. Still overall good news to see the consistent updates even if more minor on desktop than those hoping for CC to catch up to Classic sooner than later. A smaller release usually means they’re working on a bigger one, and with Adobe Max in 2 months time, I think there’s a good chance there could be some good things to come… the release cycle is pretty short though, so I wouldn’t set your expectations tooooooo high. That means on your phone, you’ve got Auto Add enabled (which is a good thing), but you’ve got WhatsApp set to save the all chat photos to your camera roll (which is a pain!). In WhatsApp settings, go to Chats > Save to Camera Roll and turn it off so it doesn’t happen in future. Trying to find the existing ones is going to be a bit of a pain though. I’m racking my brains but I can’t think of a quick way of doing that right now. in lightroom you could filter for camera is “unknown camera”, thats what my WhatsApp photos are shown as. Yep, there isn’t an unknown camera option in the CC app but I agree it would be really useful! Export presets went missing? That almost sounds like the Store Presets with This Catalog checkbox got toggled in Preferences > Presets. I have the LR classic one as well, but for sure the whole new LR ecosystem deserves a book on it’s own! Thanks Thomas. The two finger resize is disappearing in the next release, but there will be a new way of doing it which is included in the next update. And the two finger resize did make the final iOS release after all, so I’ll add that back into the next book update.